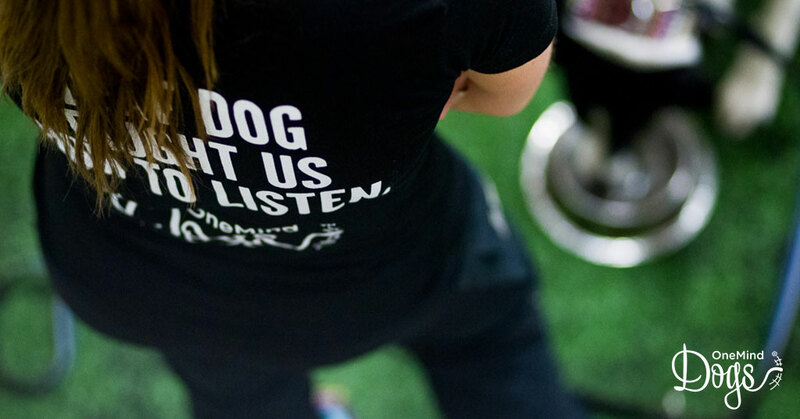 OneMind Dogs Ltd was founded in 2012 by a group of passionate dog agility handlers, coaches and innovators with decades of combined experience on dog behavior and training. Our goal is to help you to understand your dog’s natural behavior through the OneMind Dogs method. OneMind Dogs is an international company with a wide global network and clients on every continent. Our head office is located in Turku, Southwest Finland. The OneMind Dogs method gets you mentally connected with your dog. We teach our method to people. We do not need to teach it to dogs; they already speak the language. A deaf Border Collie taught us that connection between human and dog does not need words. We simply need to learn to listen. OneMind Dogs runs an online service that contains educational dog training videos and articles. Our site is a platform for learning and sharing information with our members. The online service works on subscription basis. Dog owners around the world can train their dogs with the help of our high quality, easy-to-follow educational material. We help people become the kind of dog owners their puppies need. Created by our dog behavior experts, our puppy training method is based on understanding the dog’s point of view. It’s all about having fun with your puppy, connecting with her through play and doing fun things together. OneMind Dogs Puppy Training teaches you to understand how your dog learns, communicates and views the world. When you have this knowledge, dog training is easy. OneMind Dogs Puppy Training is available for all new puppy owners around the world. No previous dog training experience is needed. The service will launch during spring 2019. We offer an online service and run live seminars based on the OneMind Dogs method for agility enthusiasts. The demand for our live training sessions is so high that we can currently only meet a fraction of it. The online service was originally developed to fulfill the demand by offering people more possibilities to learn the method. To help meet the demand for OneMind Dogs training, we have also launched an international training program for new agility coaches.